Next PostNext Gelato Shake at Disney Springs’ Vivoli il Gelato Celebrates Live Action Dumbo! Is it possible to reserve my favorite chair in the theater for the whole year? 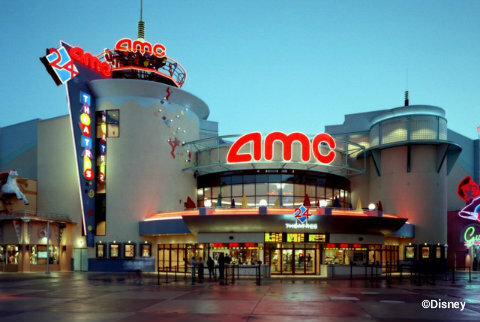 Because with SO MANY awesome films coming out in 2019, I may as well take up residence at the AMC Theater in Disney Springs. We can almost guarantee that many of the huge Disney universe blockbusters coming out this year will be so popular that you’re going to want to pre-order your tickets. Tim Burton is taking on the live action remake of this 1941 animated classic, which opens on March 29, 2019. For those of you who think Dumbo and Tim Burton are an odd paring… so do we! It’ll be very interesting to see how the big-eared elephant’s story is told in Burton’s unique style. But honestly, our curiosity is only making us more excited. Are you emotionally ready for this one? After Avengers: Infinity War, we aren’t sure if we are. Basically all we know so far is that in Avengers: End Game we will get to see who is triumphant — Thanos or our heroes. But if it’s anything like the previous film, it’s a good idea to pack some tissues for opening night, April 26, 2019. Are you ready for “a whole new world?” And by that, we mean a whole new remake of the 1992 animated classic Aladdin? Opening on May 24, 2019, the story of our favorite street rat will be retold with Guy Ritchie at the directorial helm. The remake will feature songs from the original, as well as new music from Disney legend Alan Menken. But what are we most excited / worried / anxious about? Will Smith as the genie. He’s got an awfully big lamp to fill, but we’re hoping he does Robin Williams justice. There’s only one Pixar film coming out this year (boo) , but lucky for us it’s the return of Woody, Buzz, and the rest of the toys! Toy Story 3 was pretty much perfect, so we’re wondering how they are going to possibly top it. We don’t know much about the plot other than Bo Peep will be returning, as well as new characters voiced by Keanu Reeves, Keegan Michael-Key, Jordan Peele, and Tony Hale. Toy Story 4 is set to release June 21, 2019. Spider-man finds himself across the pond, battling against Mysterio in this upcoming superhero sequel to Spider-man: Homecoming. While the existence of the film does give us some hints as to what might happen in Avengers, we are excited to see Tom Holland put on the red suit again. Spider-man: Far From Home swings into theaters on July 5, 2019. Simba just can’t wait to be king, and we can’t wait to see this movie! The Jungle Book (2016) director Jon Favreau is leading an all-star cast that features Donald Glover (Simba), Beyonce (Nala), John Oliver (Zazu), Seth Rogen (Pumbaa), Billy Eichner (Timon), Chiwetel Ejiofor (Scar), and James Earl Jones (Mufasa, of course). Elton John and Hans Zimmer are back to lead the reworking of the original songs and new score. And with Beyonce in the line- up, it’s been stated she and Elton are working on something new. Our biggest concern right now is how much we are going to cry during a certain scene. Have you seen how cute new Simba is? Ugh, it’s gonna be brutal. The Lion King roars into theaters on July 19, 2019. Did you really think Disney was going to let this one go? (See what we did there?) As of now, we don’t know much about Frozen 2 other than the original directors (Jennifer Lee and Chris Buck) are back, as are Elsa (Idina Menzel), Anna (Kristen Bell), Kristoff (Jonathan Goff), and Olaf (Josh Gad). Oh, and that Elsa has a seriously awesome track suit. Frozen 2 will be released on November 22, 2019, and until then we will be anxiously awaiting more details and a full trailer. This is the big one folks. The final installment of the trilogy, and the last of the main Star Wars films. We know very little about the film — including the full name. We do know that The Force Awakens director, J.J. Abrams is back in charge. There is a lot of speculation about what could happen in the final chapter, and fans are particularly curious at how the late Carrie Fischer will be involved (if at all.) Star Wars: Episode IX hits theaters on December 20, 2019. What 2019 film are you most excited for? Let us know in the comments! Previous PostPrevious How Many Cast Members Will Work in Galaxy’s Edge? You’ve basically just listed all of the Disney movies coming out for the remainder of 2019. Marvel Studios, which is listed as one of the film’s production companies, is a subsidiary of Walt Disney Studios, so it does have a Disney connection. I’ll just wait till WDW adds them in the ending of the Great Movie Ride. Oh wait. Never mind.